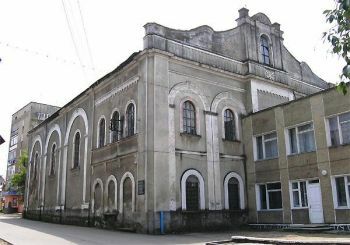 The city Bolekhiv is a huge building of the old Jewish synagogue, built during the 1789-1808 period. Bolekhiv Jewish community in the early 20th century was very large and was about 80% of the total urban population. The synagogue is located in the western part of the market square. Next to it are located and other Jewish buildings for public use: a bakery, a bathhouse. Facade of worship is directed to the east, which is typical for such buildings. The synagogue, which is preserved to this day, was rebuilt on the site of the old, wooden. New building of stone was more reliable and durable. During the reign of the Soviet regime, in the 50-ies of the last century, the tanners club was in the room of the synagogue, as evidenced by the almost survived the inscription at the entrance. 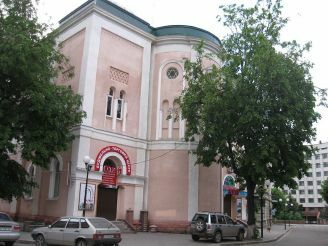 With Bolekhiv synagogue in the city associated with the names of the famous writer and activist in the field of religion and founder D. Birkentalya rabbinical dynasty Jacob Horowitz. 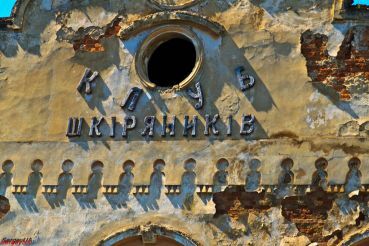 Today the historical building is in very poor condition and at any moment may finally collapse. 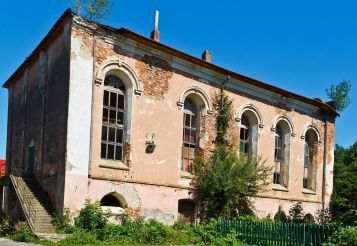 Even despite its dilapidated condition, the synagogue stands out among the ordinary buildings.